We can hope for better weather in May… after the least sunny April I have ever recorded. Temperatures however were close to normal, thanks to the cloud cover keeping nights mild and frost-free. 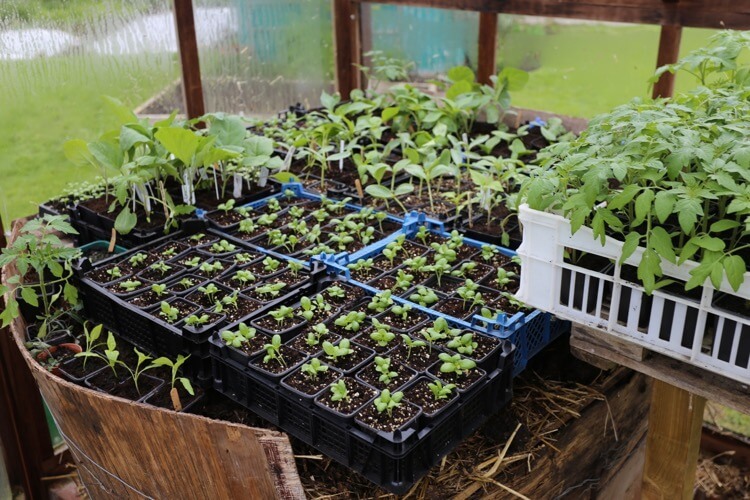 Soon it will be time to plant warmth-loving vegetables outside, though not until after mid month. 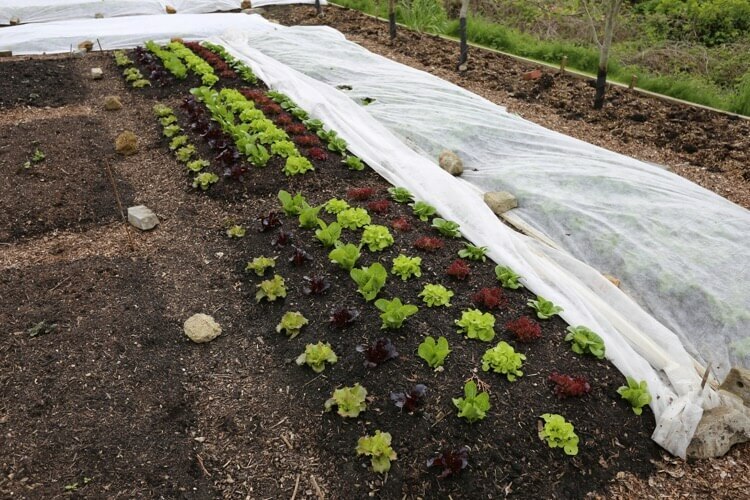 For those of us using fleece covers over new plantings, it is soon time to remove them as the sun returns. Here I plan to do this on Thursday 3rd May, since the weekend weather looks warmer. 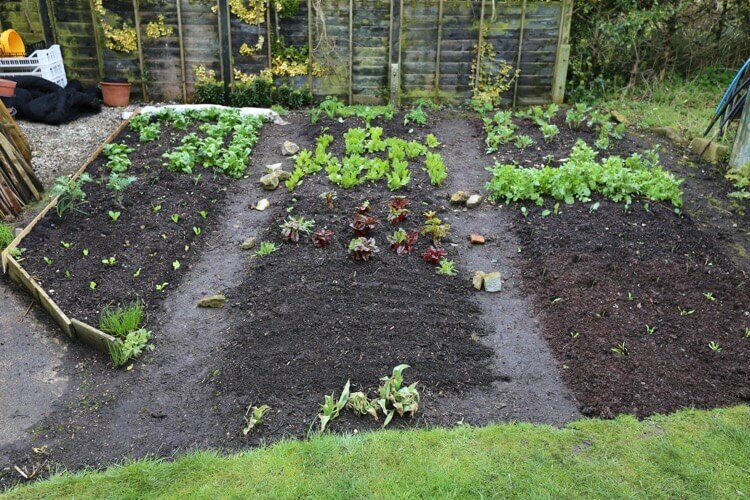 In northern UK, perhaps over the weekend will be good to remove covers over plantings of lettuce, spinach, onions, peas, brassicas and beetroot. 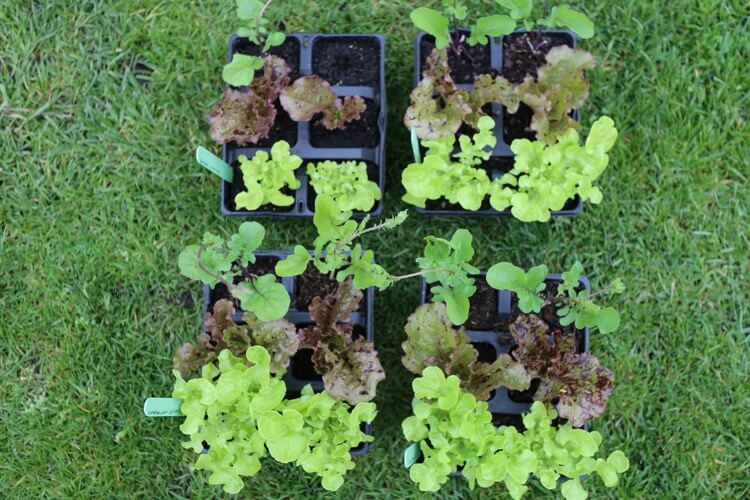 May plantings are worth fleecing over for a week or two, to help them establish, unless it turns hot and sunny. 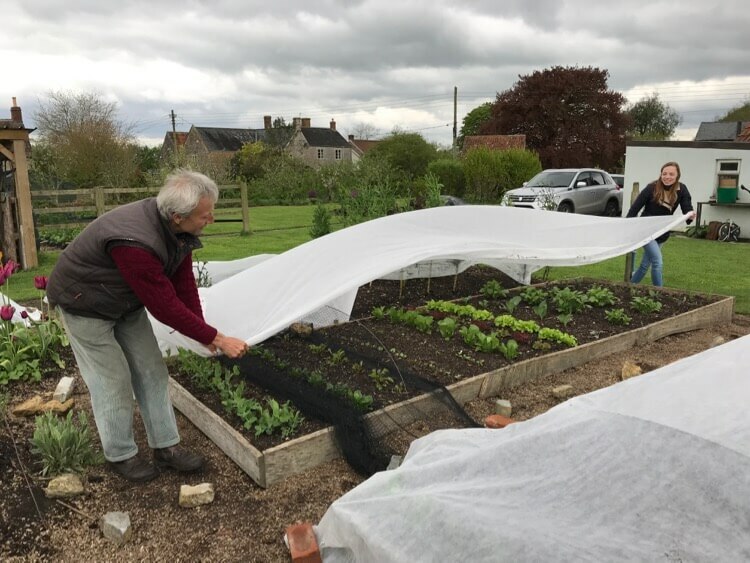 And in much of the UK it’s looking good to plant tomatoes undercover, even aubergines and peppers if plants are strong: just have fleece ready to cover them, if a frost is forecast. The differences are exceptionally strong this spring and I worry about the dug bed, whose plantings look so pale and reluctant to grow. I imagine that warmer weather will help them, and it makes me wonder if complaints about weather conditions from digging gardeners would be reduced by the no dig method. The word compost is applied to so many different products, and I hear even that Americans call potting compost, ‘potting soil’. It’s a confusing word, and intriguing too for what may grow. 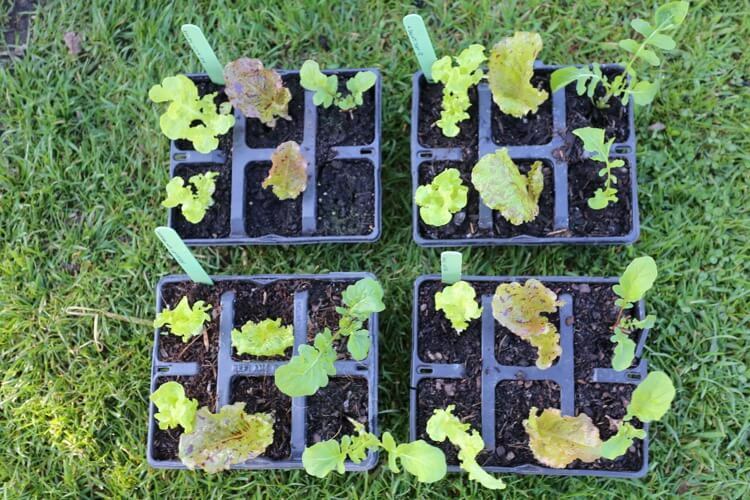 In late March I pricked out seedlings of lettuce and rocket in four different composts, all of which are sold for raising plants. After three weeks I picked their outer leaves, now they are still growing but running low on nutrients, as one would expect. The West Riding is a strange result, in that their ‘multipurpose’ compost has less nutrients than their ‘Seed & Cutting’ compost. 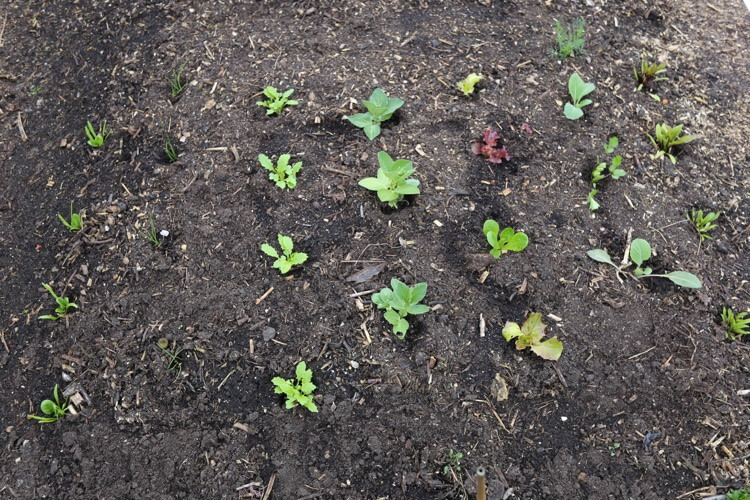 Incidentally in other trials I have found that seeds germinate well in high nutrient composts. 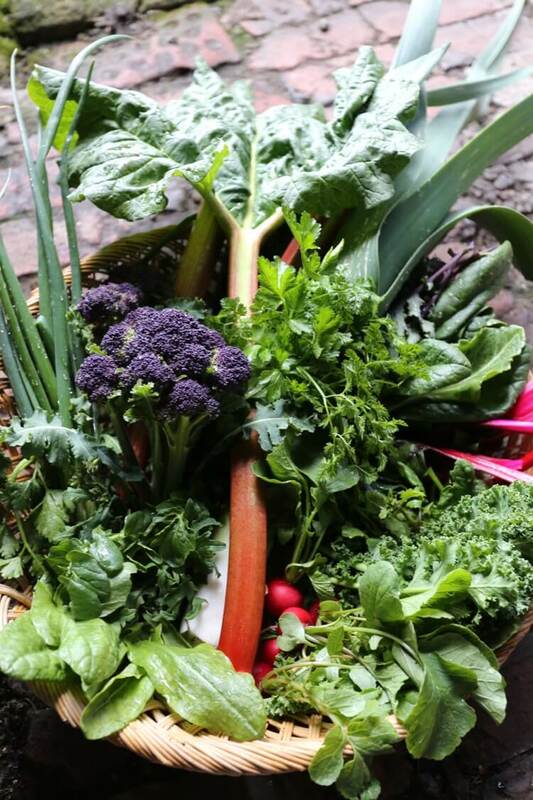 In a cool spring, the value of having sown spinach, spring cabbage plus onions in August, and broad beans in late autumn is more significant than ever. 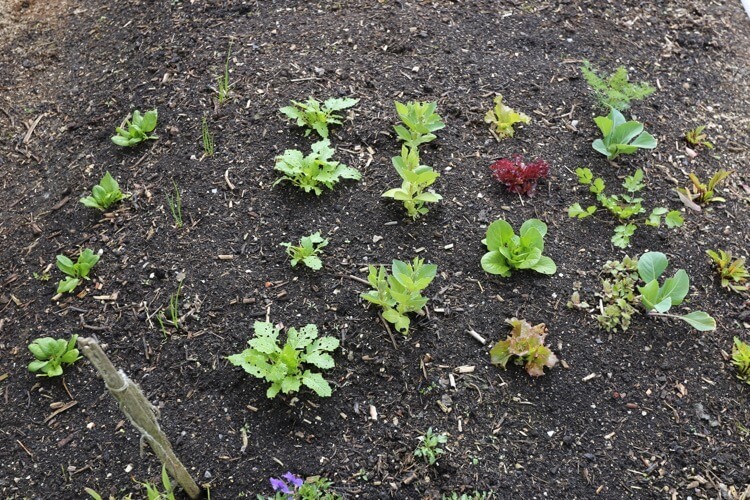 Sowings made in early spring are now still struggling to get going, because of cool, dull weather. They need to make a root system before leaf growth can be strong, and we have had marginal conditions for that. 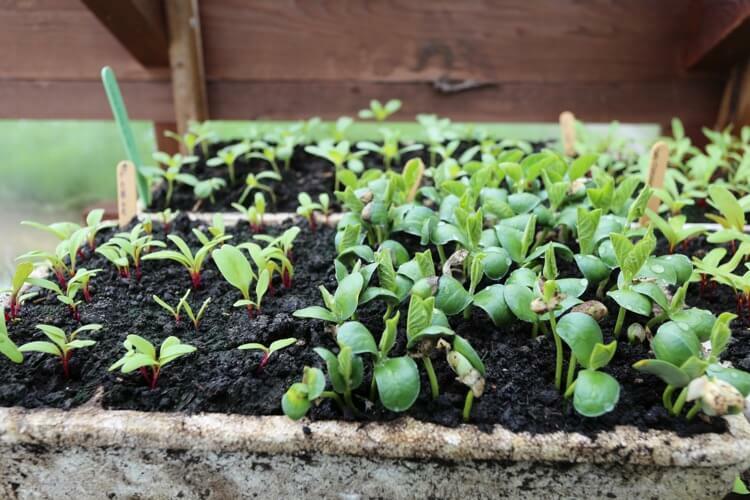 Nonetheless, the combination of no dig with compost mulch, timely sowings and fleece covers has seen good growth recently of lettuce, spinach, radish and turnips. We are taking or about to take first harvests of these. 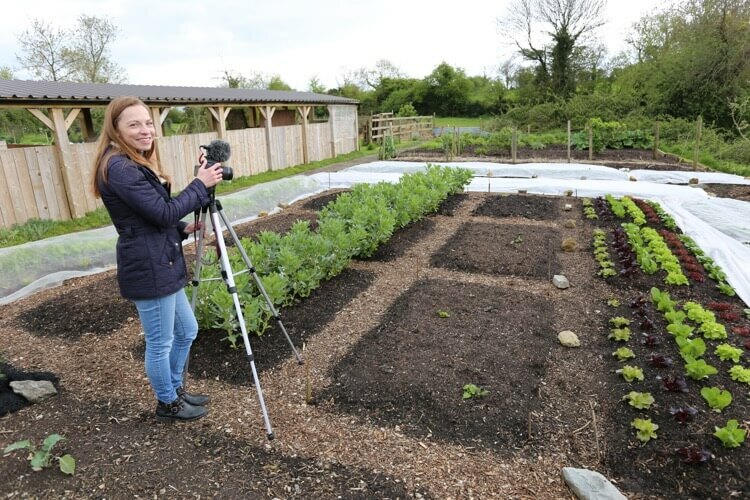 In the video on Success with Sowing, you can see me planting modules on 8th April. Below you can see how they look three weeks later, photo on right. 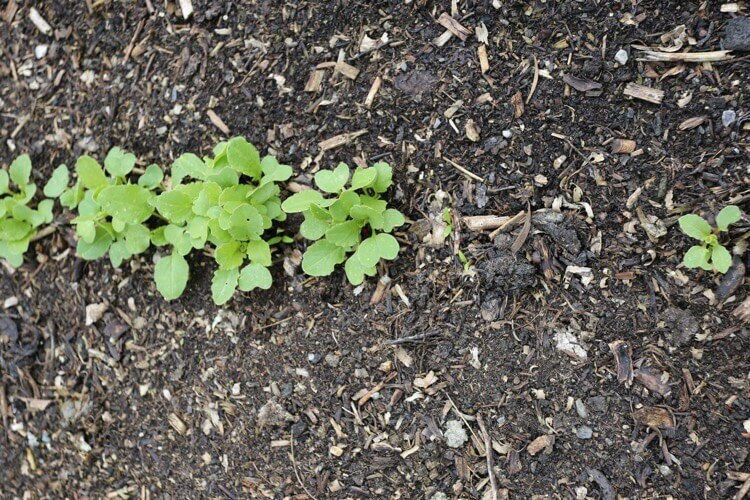 A week before that I had sown radish and parsnip in the same bed. 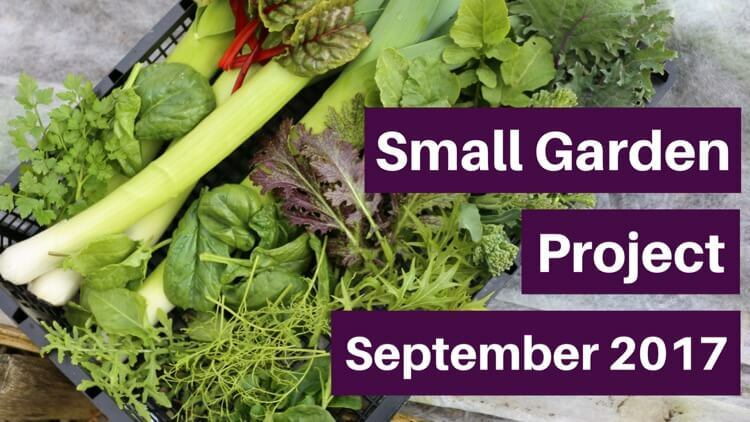 Steph and Edward encouraged me to use a 25sqm/270sgft garden area for a project, to record what can be grown year-round, in terms of range of produce, and with two plantings a year. You can see the first video here, which we filmed last September. Soon we shall post the second film, showing December harvests, and my planning outline for 2018. Already some of those plantings are different to the plan, thanks to weather mainly. 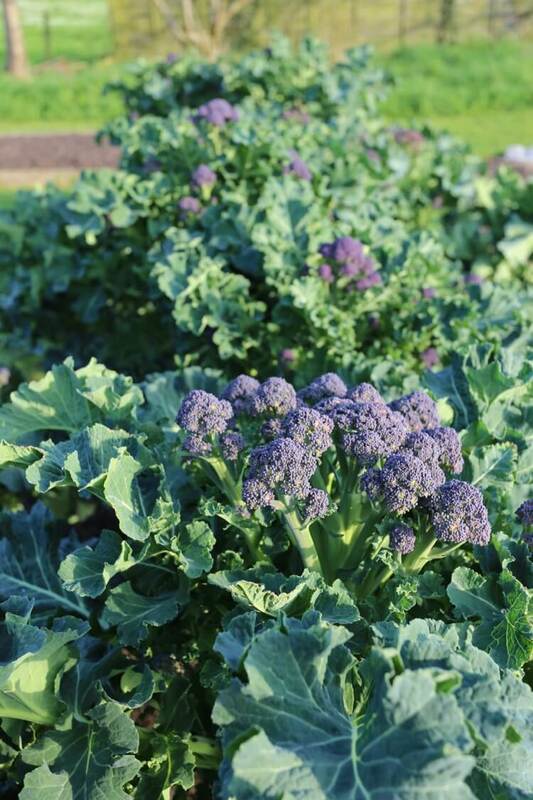 In the video you see a lovely kale but sadly it is no more, after the freezing winds of late February did more damage to my Taunton Deane than I have ever seen, even compared to colder winters. Something about the intensity of the wind and suddenness of the cold, after a long run of milder weather. I have one stock plant to take cuttings from, and Steph has one, but many sellers have lost theirs. This site in (I think) Germany offers plants of some interesting perennial kales, a forum reader gave the link. Photos of some growth at Homeacres, by 29th April. Seeds germinated in trays over the hotbed, which is at 45C/113F now. 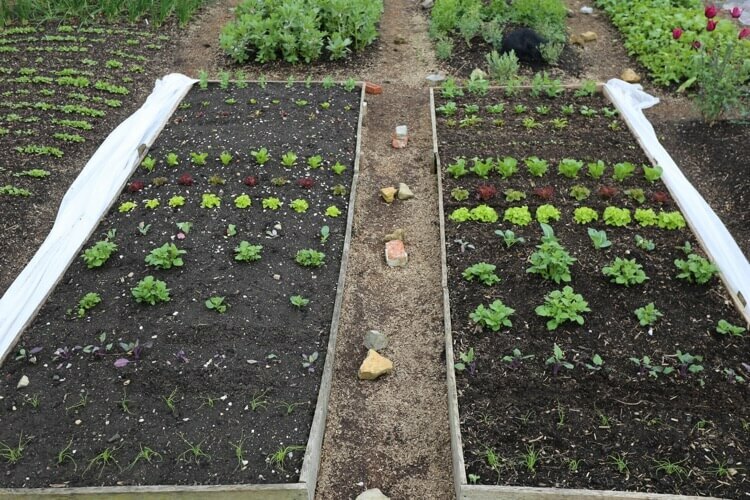 We sow runner/pole and French beans after May 10th, because of how they need steady warmth to grow well, and not be eaten by slugs. 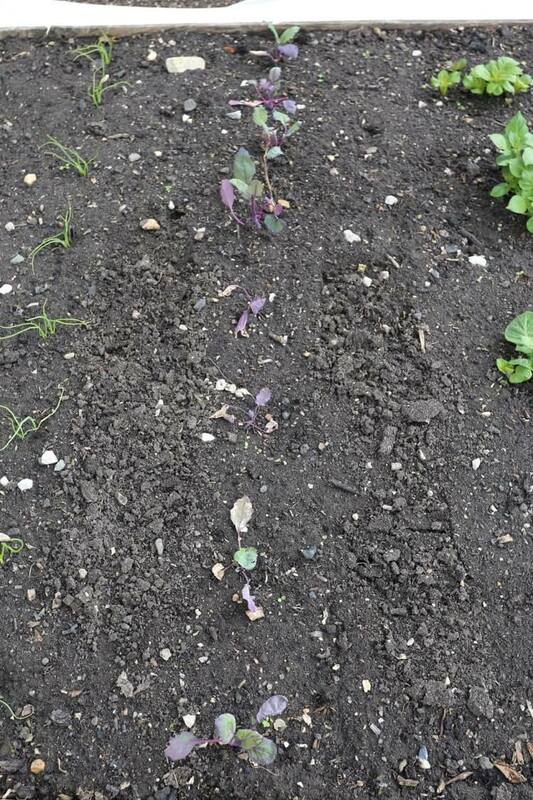 Also it’s a good time to sow Brussels sprouts, kale for autumn leaves and cabbage for autumn hearts. 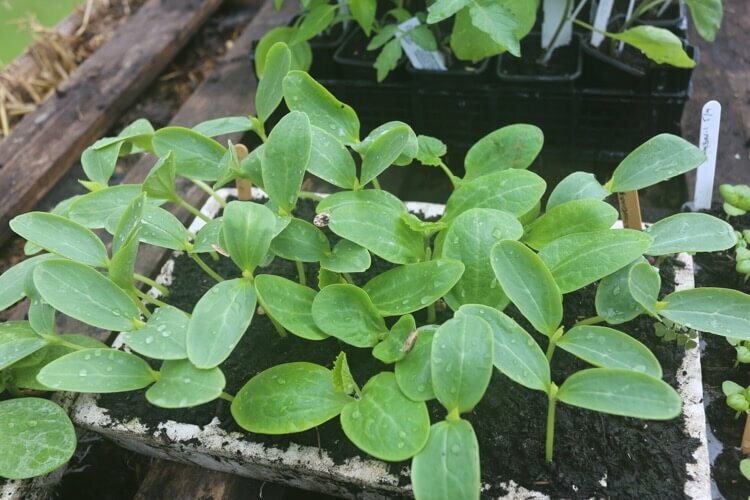 There is still just time to sow winter squash and sweetcorn, but don’t delay. Courgettes can be sown any time in May. 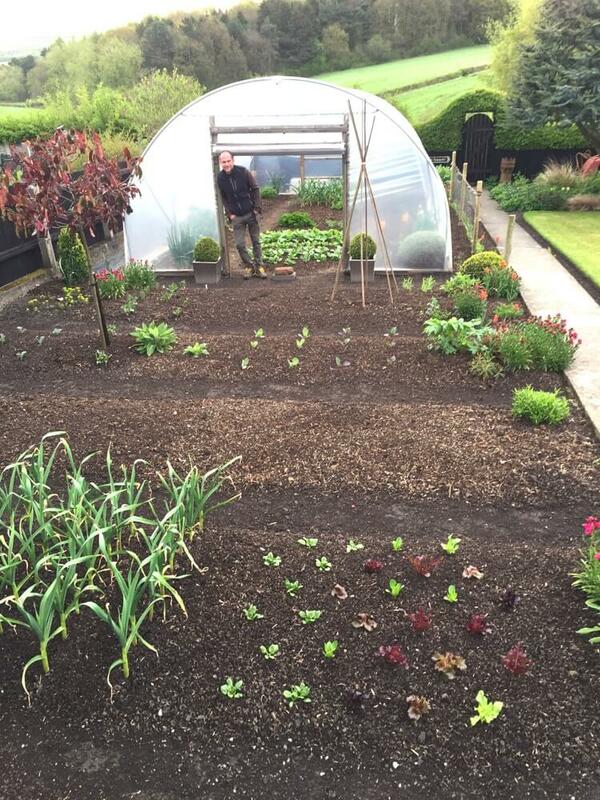 No dig is now popular, together with my methods for simplifying gardening to save time. 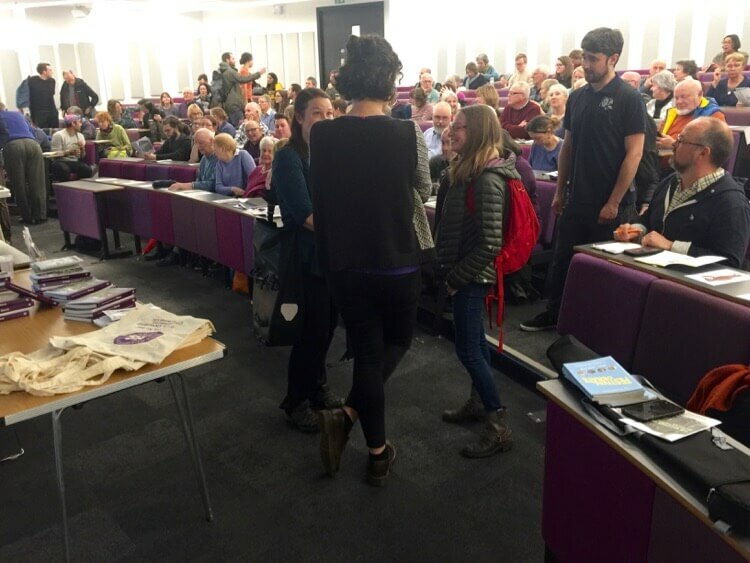 Talks I gave near Nottingham and in Southwell both had over 200 attendees, courses keep selling out and on 1st May I am being flown to Aberdeen to take part in BBC Scotland’s Beechgrove garden programme, about their dig/no dig trial. I am excited to meet the team there and see the garden. In 2019 Which? 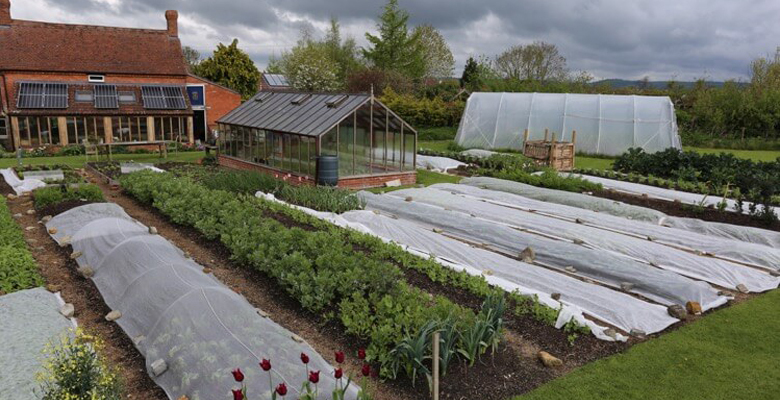 Gardening magazine are running my monthly articles of advice, and they have started a Facebook group for chatting to the writers and other gardeners. 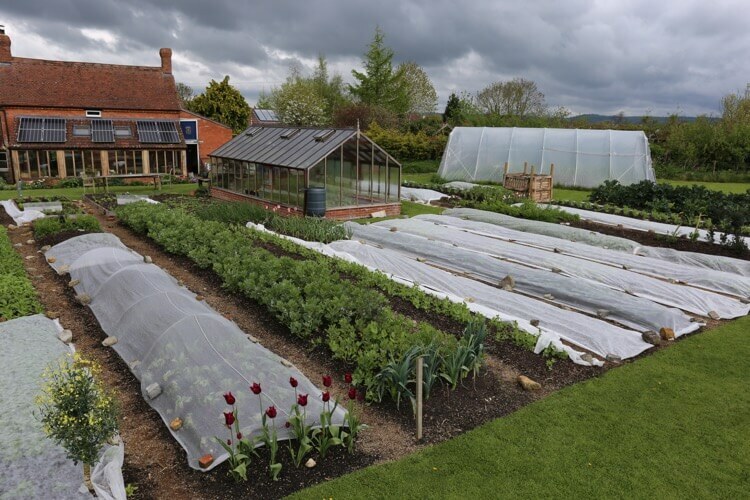 On 13th May in Somerset we are celebrating Garden Day as a time for gardeners to take a few hours off and have friends round to enjoy the beauty of what they do. 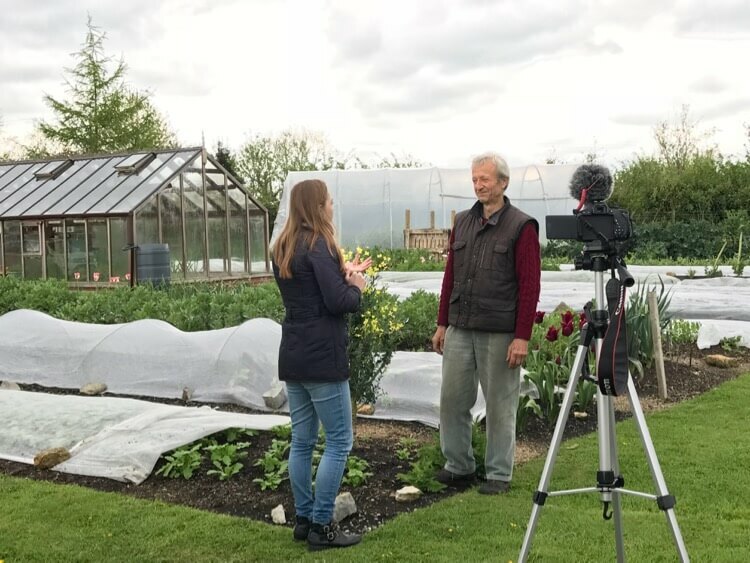 These are garden day interviews on video, by David Lifton. On 29th April we welcomed Annabelle here, of life at no. 27, and she filmed a video of me answering her questions about no dig, which releases soon. 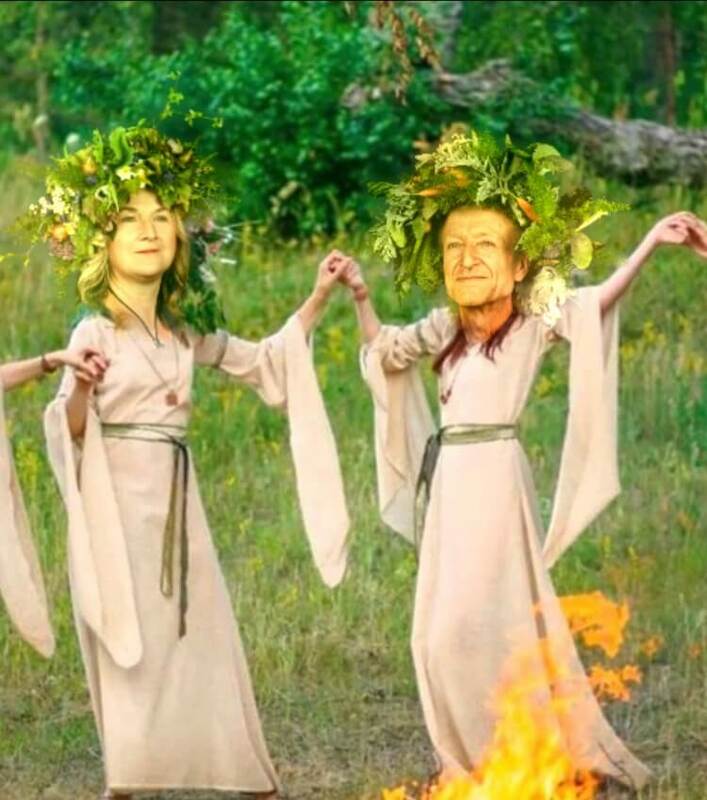 Dear Charles, I am in my second year of nodig here in the pre-amp of Provence. 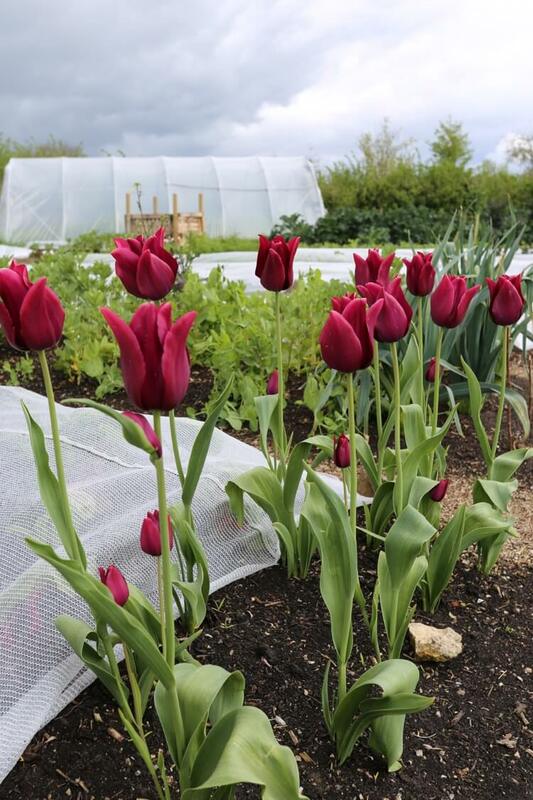 Last year we trialled a single strip and I was amazed at how much easier it made my gardening life. This year we have cardboard and composted the whole patch and I’ve even put in my first asparagus crowns, something that would have been impossible with the weeds before. I’m using the diary and following the blog with slight data adjustment. Also it’s hot here when the sun comes out we can have frost up until 5 may. 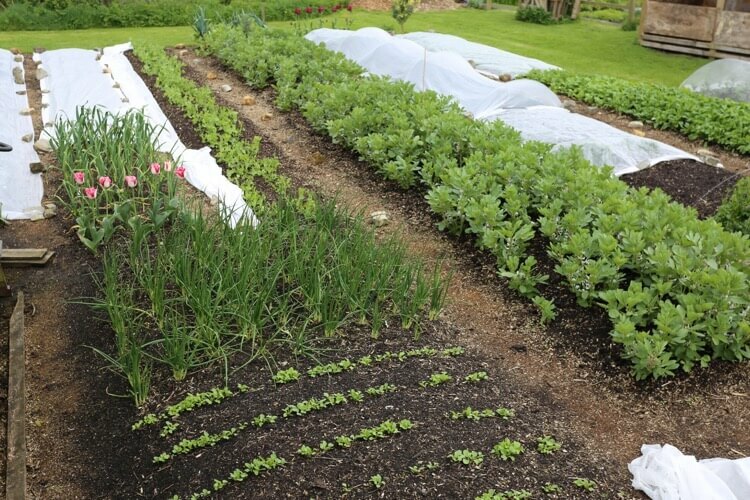 Many veg plots I see are still bare apart from broadbeans, leeks and a few potatoes starting to poke through. My main issue has been perennial weeds trying to make a comeback, mainly thistle and scutch grass. I do find that if I spend 30 minutes every other day I can yank them out quite easily. These weeds do persist at the borders and we have 3 methods on trial. Strimming regularly. Cardboard and pine mulch. By far the most effective has been planting comfrey along one side. It naturally chokes out the weeds, brings bees and I use it to mulch. We harvested root this spring to plant around a second edge and it is starting to grow through nicely. 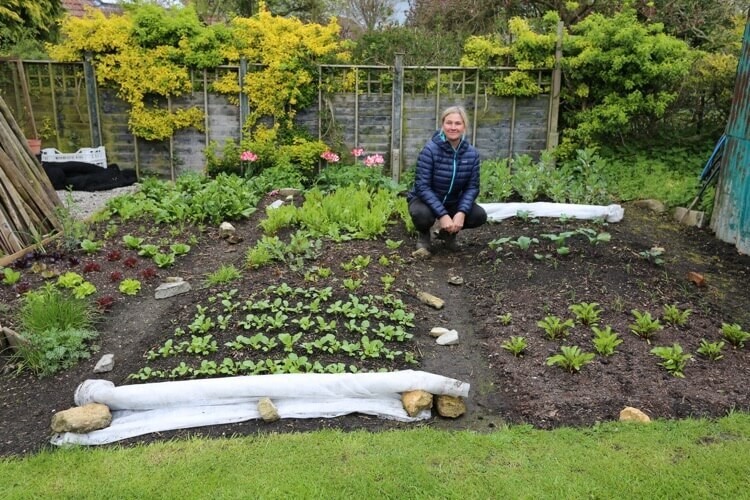 Caroline, Will your comfrey not spread into your veg bed? I grow Bocking 14 and find it is a colonizer, in the East Midlands where we have quite a coterie of No-Dig supporters. Hi Suella, the comfrey seems to stick to the line I planted it in. On the other hand if you leave a piece of root anywhere else it’s hard to kill. I find it so effective. Not sure of variety as it was just parts of roots in a plastic bag I received. I’d love to show you a pic. 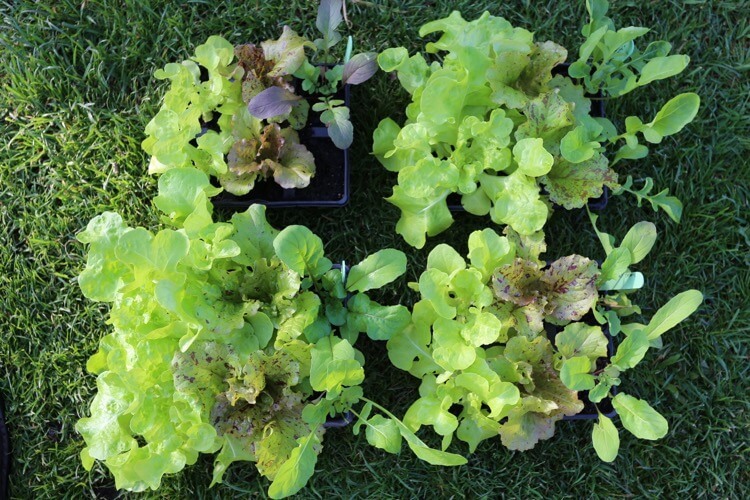 Charles, Tree Cabbage from Asturias by Real Seeds seems a good quasi-perennial leaf crop. 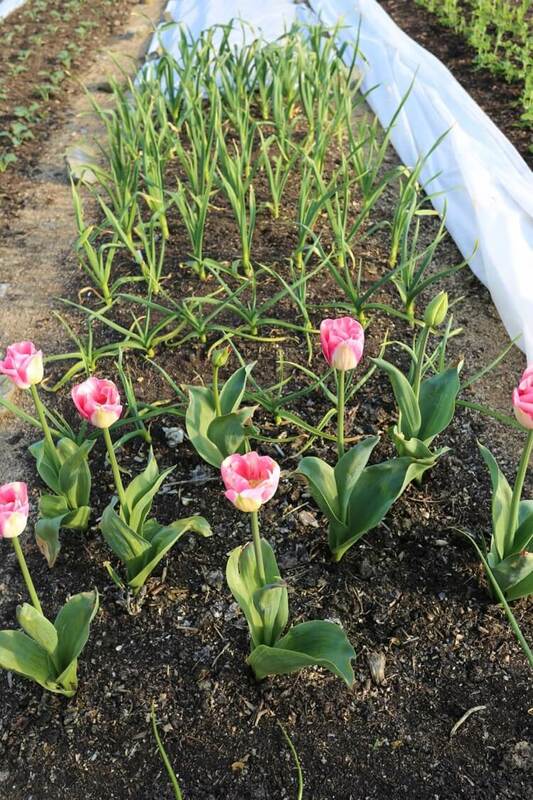 I did a trial establishing some last summer and they came through this winter really well and now have leaves for regular picking. I did a clump of three plants and it worked Ok. This year I will establish five more stands to provide a permanent leaf supply. 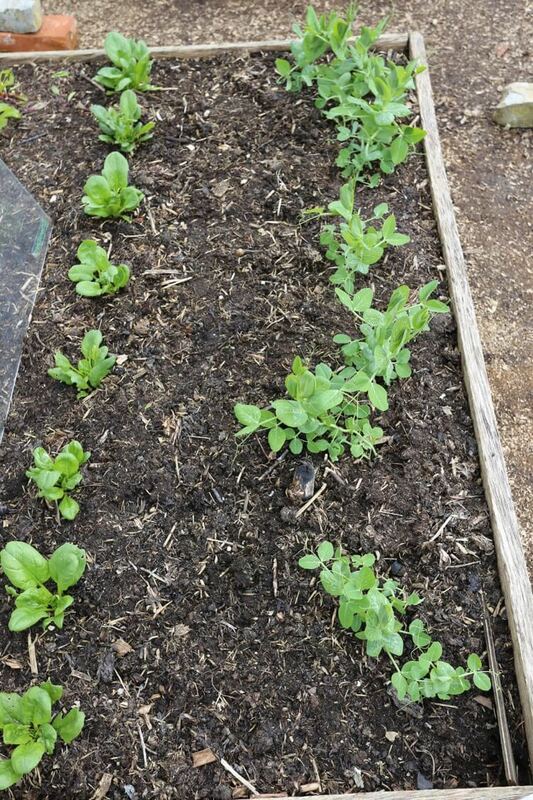 My major loss due to March frost was broad beans: the first winter they have done badly – they grew a lot in a mild January and then more than half succumbed in the frost t the end of Feb. I wonder if sowing in January, planting out ealy February is the best compromise? No doubt snow early Feb might stymie that?! 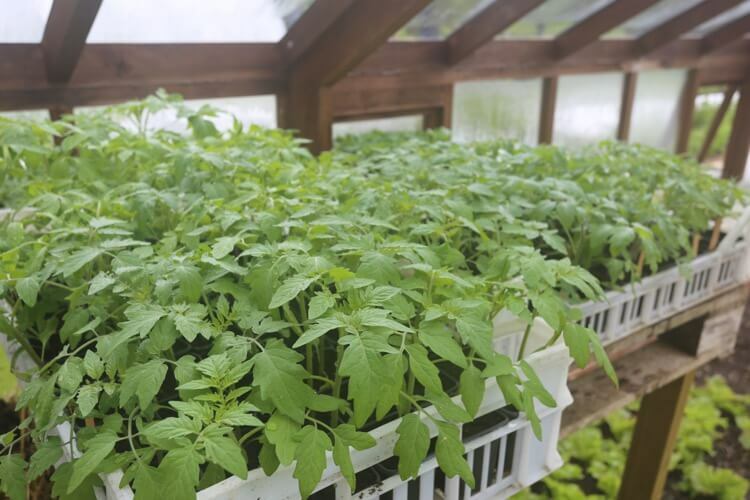 Up here all sowing on April 1st or later outdoors has done well, before that very marginal (both carrots and leaf turnip sown on March 23rd failed, root turnip germinated but is now behind April 1st sowings). 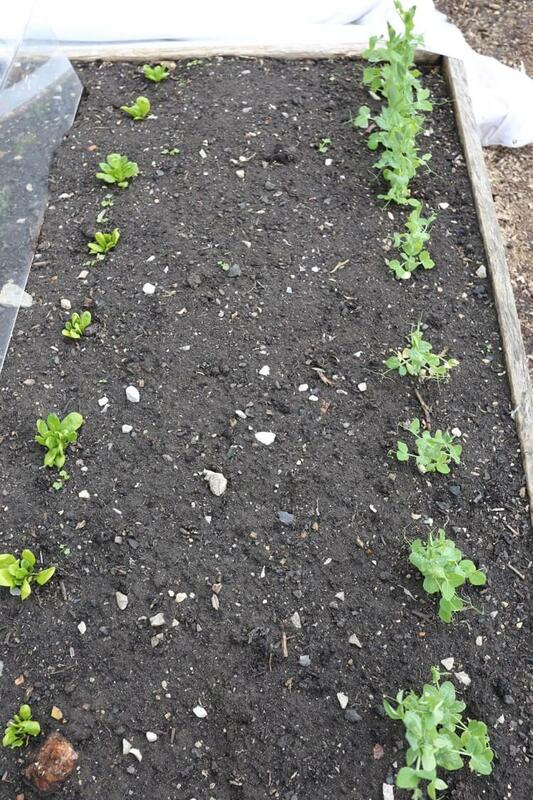 Fleece has been great for beetroot, lettuce, spring onion, radish and leaf turnip. Year five no dig soil has been perfect for planting out onions and shallot in larger plugs (8cm pots). 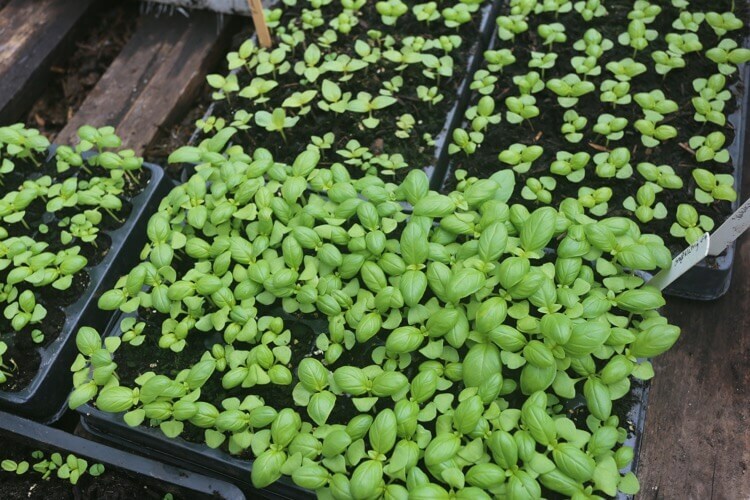 A trowel removes a solid structure allowing perfect insertion of 8-10 week old plants and they have grown away quickly. Same for planting maincrop potato. 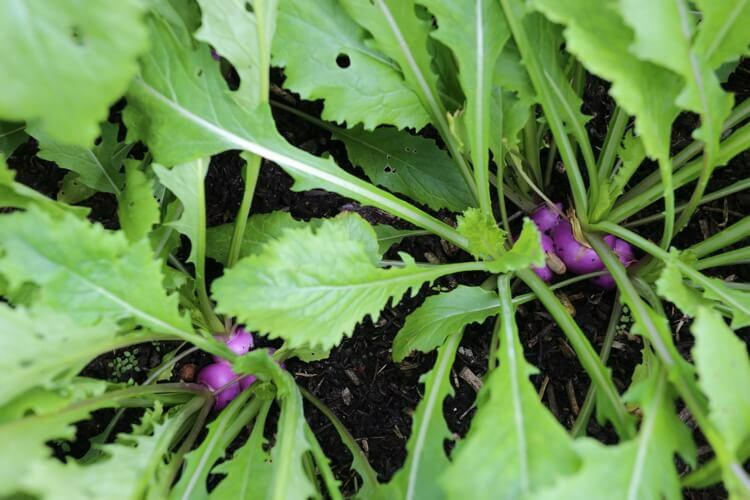 Turnips sown 1st April are an education in how quickly plants grow after thinning. This year I thinned gently and successively and every three days plants say ‘thin us again’! One more thinning and a complete stand will be there. Last year more aggressive thinning led to lonely plants succumbing to pests. Can you say where ‘up here’ is? Sorry, Ian, NW London. I guess I feel I am not needing to tell Charles for the tenth time, but of course, others may be reading for the first time…..
Hi Rhys, Likewise Asturian worked for me South of the Thames. 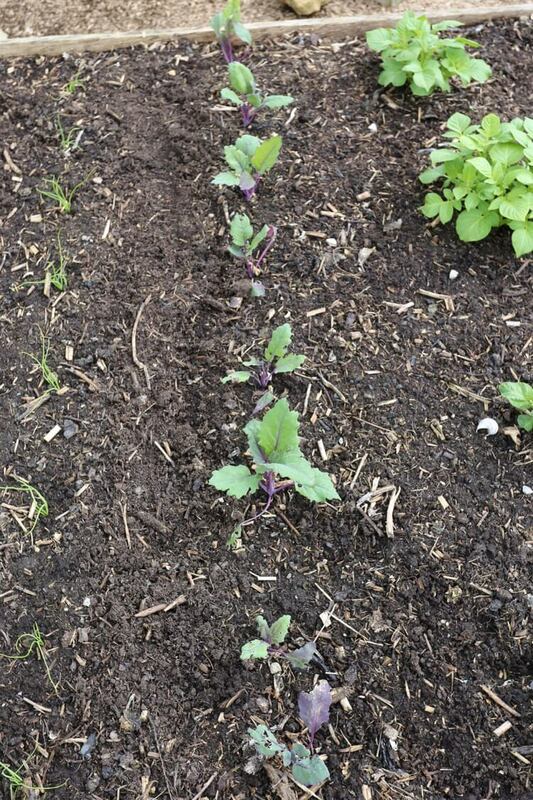 I am trying out Sutherland Kale this year (same source). Just wondered if a little bit of Scotland may put up with winter well too! In your video about storing veg over winter, you mention a cabbage that you say keeps very well. Unfortunately, despite having watched it several times I just can’t make out the name of the variety. Could you tell me what one it is please? Caroline that is so nice to hear, thanks for sharing. Interesting about the comfrey. Rhys, great feedback as ever from NW London. And Ian the cabbage is Filderkraut. Good for sauerkraut too.